Virgin Australia, the official airline of Supercars, has added extra flights from major capital cities for the Watpac Townsville 400. It follows the success of 2017 when additional flights were added to cater for fans from Australia’s east coast travelling to North Queensland’s largest annual sporting event. The six additional flights will operate from Thursday 5 July to Monday 9 July between Townsville and Brisbane, Sydney and Melbourne. 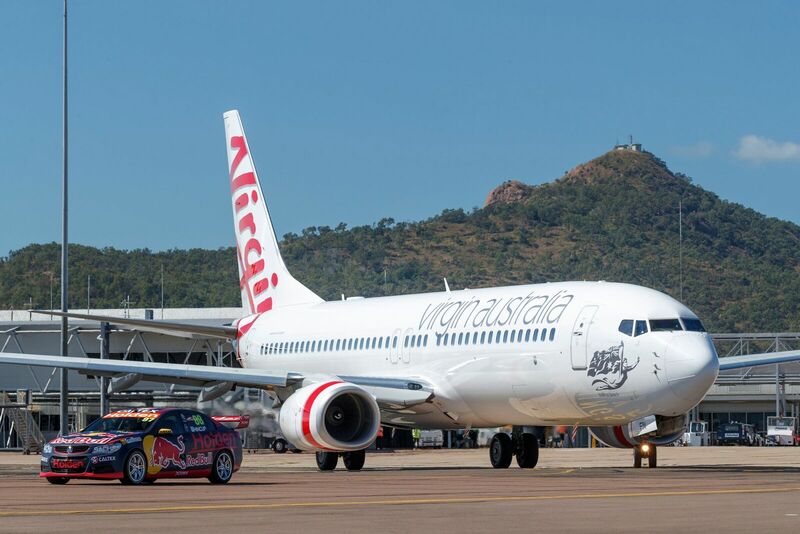 “We are thrilled Virgin Australia has again made these additional flights available for the thousands of fans heading to this year’s Watpac Townsville 400,” said Supercars CEO Sean Seamer. “More than 1.3 million fans have passed through the gates of the Watpac Townsville 400 since 2009 and a large portion have travelled from our capital cities on the east coast. Virgin Australia General Manager Network and Revenue Management, Russell Shaw added: “As the official airline of Supercars, Virgin Australia is proud to be supporting the teams and drivers again this year as they fly across Australia to compete in the 2018 Watpac Townsville 400. Tourism Industry Development Minister Kate Jones said the extra flights allowed more interstate Supercars fans to pack their bags for Queensland and attend the Watpac Townsville 400. “The Townsville 400 is one of Queensland’s must-see events and for 10 years has driven visitors to Queensland for three days of Supercars action,” Ms Jones said. “These extra flights encourage visitors to extend their stay in Townsville to see more of beautiful Tropical North Queensland. The 2018 Watpac Townsville 400, from 6-8 July, features three days of racing as well as two nights of entertainment from Australian Rock royalty including Hoodoo Gurus and Baby Animals on Friday night followed by John Farnham and Daryl Braithwaite on Saturday night. Supercars and Virgin Australia have partnered to bring fans Supercars Travel, offering a single site where fans can access airfares, accommodation, race tickets and local tourist attractions in any destination a Virgin Australia Supercars event is held. Click here to visit Supercars Travel.